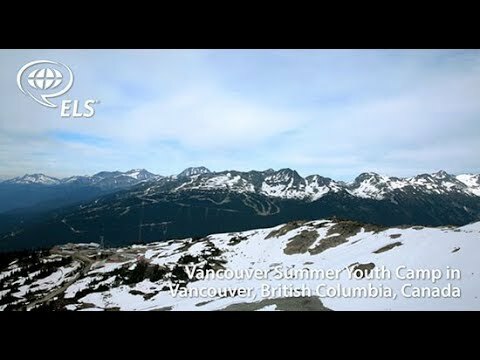 In “Discover: ELS Vancouver Summer Youth Camp” students and staff discuss their experiences learning English at the exciting and fun camp located in Vancouver, British Columbia, Canada! While at the camp, students spend 25 hours per week learning English lessons designed for young learners aged 9-12 years old and teenagers aged 13-17. “The goal is to have some aspects of the very traditional classroom where kids are sitting, reading, writing, thinking, and discussing, but also a little more of a lively experience to give students the opportunity to use their language in a more natural way,” said the camp’s Academic Coordinator. Activities include trips to Whistler, Victoria, and the Rocky Mountains. After school, students can go to bowling alleys, play laser tag, and take trips to Stanley Park. “My favorite part is my friends. It’s such an experience for me to talk with different people and to know more about our world. It’s great,” said Mary, a student from Russia. The Vancouver Youth programs provide young students with a fun and interactive way to learn English and improve their grammar through speaking and writing. They also build important life skills while taking advantage of daily and weekend activities. Learn more about our Vancouver Youth Summer Program!